The problem with keyboards is that the keys are all already assigned to something. Letters? Numbers? Lame. 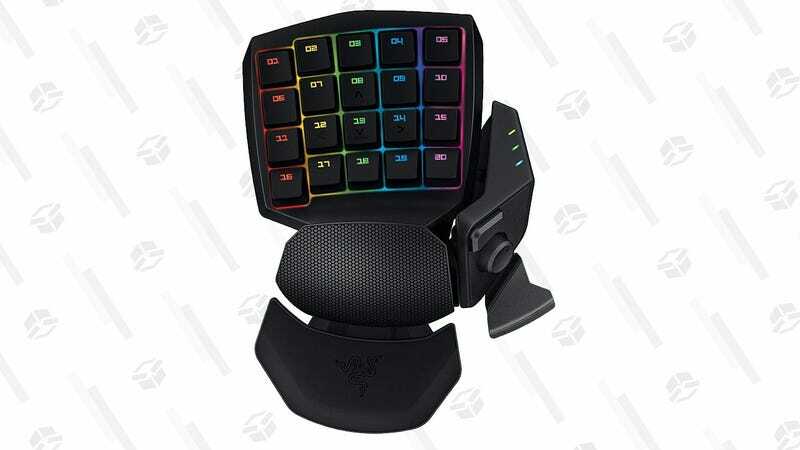 Razer’s Orbweaver, on the other hand, includes 30 mechanical, RGB-backlit keys that can be whatever you want them to be. Ostensibly, it’s designed for gamers who want to create complicated in-game macros to get a leg up on the competition, but it’s also great for office workers, video editors, and photography professionals, who do a lot of highly specific, oft-repeated tasks in software. The Orbweaver normally costs $110-$120, but today on Amazon, it’s down to $100.